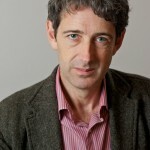 The Irish Times published a new piece by Alex de Waal, “We must never forget to remember.” The piece is published as de Waal is set to deliver two talks in Ireland: in Dublin on May 9th (with Trocaire and Concern Worldwide) and on May 10th in Cork, at the Global Hunger Today: Challenges and Solutions conference. Eighty years ago, my family was robbed of their house and their country for being Jewish. Today, no-one in the European countries that perpetrated such mass atrocities can grow up without being reminded, “never again”. Not so with famine. There are a hundred memorials to the victims of famine across the Irish Republic, some of them in the centres of towns, others in now-empty fields and valleys. There are more in the places to which the famine ships sailed — Boston, New York, Sydney, Liverpool. But there are no such memorials in London. Those who walk by the treasury and the foreign and Commonwealth office in Whitehall will not have to look at any reminder that it was in those elegant chambers that mass starvation was perpetrated on the peoples of Ireland and India. Should we forget that famines are manmade, that starvation is something that one person does to another, we are in danger of repeating the act. This is the basic lesson learned from studying the famines of the last 150 years. Sometimes starvation takes the form of deliberate genocidal action — for example the mass murder by hunger and thirst of the Herero people of south-west Africa in 1904, or the Nazi Hungerplan that aimed to starve to death 30m people on the eastern front of the Second World War. More often, famines are brought about by recklessness: The political or military masters of the situation simply don’t care whether people live or die. They have other priorities — rationalising agriculture or defeating an insurgency for example. Rarely in the modern world are famines the product of natural disaster such as drought. There are indeed calamities that cause crops to fail and cattle to die, but no modern society is so poor or incapacitated that these hazards automatically lead to deaths from hunger. For more than 100 years, we have been wealthy and capable enough to stop crop blights, droughts or floods causing famine: and when this combination occurs, we can be sure that political decision has determined where and how the burdens of hardship and hunger fall. For a generation since Bob Geldof’s LiveAid in 1985, we were effectively reducing famines and famine mortality around the world. In the 100 years prior, there was a regular drumbeat of mass death, with ten million or so perishing every decade. Since then, the fatalities from famine have been a small fraction of that number. There are many reasons for this triumph, ranging from the tremendous progress in reducing poverty and infectious diseases, through the expansion of democratic and accountable government, to the growing reach and professionalism of humanitarian agencies. The single most important reason for the decline in mass starvation has been the end of totalitarianism, colonialism, and wars of extermination. Therefore, this century, for the first time in human history, we have been at the threshold of prohibiting famine for good. But in the last year and a half, famine has crept back. This isn’t because of global warming or malfunctioning food markets, still less because of overpopulation. It is because we have not cared enough to stop the men who inflict starvation from doing so. We are forgetting to remember. Today’s mass starvation has common features: War and a callous disregard for the value of human life. Hunger sieges in Syria herald the return of the soldier’s ultimatum, “surrender or starve”. South Sudanese militia commanders burn the villages of their rivals, and block aid to the fleeing people. Extremist rebels and government forces in north-eastern Nigeria fight a war of scorched earth. In Somalia, a combination of drought, high food prices, corruption and conflict led to a major food crisis. This came on the heels of the devastation caused by Somalia’s 2011 famine, which was caused by the same mix of factors, with the deadly addition that the US government decided to withhold food aid for fear that it might fall into the hands of the militant Islamist insurgent group Al-Shabaab. The defining famine of our age is Yemen. A civil war fought in a poor country, dependent on food imports, always risked creating hunger. But the tight food blockade mounted by Saudi Arabia and the United Arab Emirates, combined with their all-out assault on the country’s economic infrastructure as well as its hospitals and water supplies, have dragged an entire nation into famine. Western countries’ priorities are revealed by their readiness to continue arming the perpetrators of famine crimes. Is the tide of history turning against the humanitarians? The news is ominous, but today’s five famines and near-famines do not yet rank alongside the horrors of earlier eras. Our progress has stalled. It can yet be resumed, if we care enough to make our political leaders do the right thing. As we commemorate the victims of the great English famine inflicted on the Irish 170 years ago, we should also evoke that memory to cry, “never again”. When the citizens of nations vilify the perpetrators of starvation, and insist that the humanitarian imperative overrides realpolitik and profit, then we can at last effectively prohibit famine. It seems, on the basis of current evidence, that the ‘tide of history’ is indeed turning against the humanitarians. However my own observation has been that the definition of ‘the humanitarians’ has increasingly embraced such a disparate and disconnected grouping of humanity as to water down how we identify the humanitarian. After more than thirty years determinedly focused on responding to human suffering and abandonment in conflict and natural disaster I have to question whether we turned against ourselves long before the tide reached us.